This past May, I spent two weeks in Yosemite. I’d trained all winter and spring and arrived fitter than I’ve ever been in my life. And then I spent the whole time battling poor weather, time limitations, and my own weakness and ineptitude at big wall climbing and ultimately had to be satisfied with topping out El Cap rather than my real goal: to free climb the Salathé Wall. All that hard work and adversity motivated me for two things. In the long term, I’m even more committed to going back and attempting to free El Cap next year. And in the short term? I got really psyched to go sport climbing. Enjoying some bolt clipping on a 13+ project near Granite, CO. 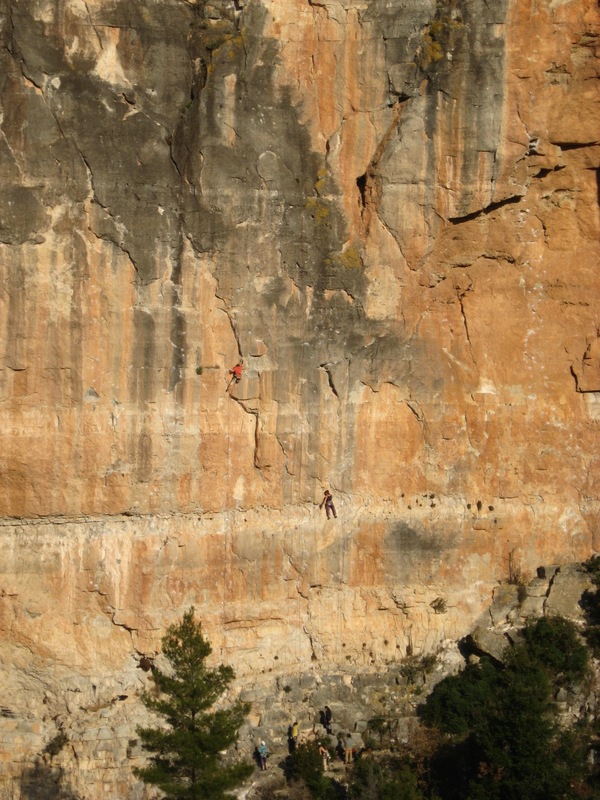 Which leads me to my actual point (No, this is not the “Top 10 Epic Big Wall Fails,” even though this would definitely be more fun to read): I’ve spent a lot of time at sport crags recently and have observed many different styles and tactics. To be frank, not all are equal. And so, I’d like to submit a proposal for good crag style (and I don’t mean this kind of style). Pull the rope after you belay. There seems to be no consensus on who pulls the rope (or, in the case of someone wanting to top-rope, pulls the rope through), but it’s pretty clear that the best person to do it is the person who just belayed. The belayer has been holding the rope for the last twenty minutes anyway, is probably wearing comfortable shoes and maybe gloves, and isn’t preoccupied with spraying/whining about how well/poorly that redpoint burn just went. So, after your climber lands of the ground and unties (and commences the spray), just go ahead and pull the rope before you walk away and start pantomiming the route at least three grades harder than what your partner just tried (and failed) on. If climbing in a group of three, use this rotation: belay, climb, relax. Lots of folks refuse to climb in threes because it’s too slow. When this rotation is employed effectively, climbing in a group of three can be great: a bit more social, another person to manage other random things (dogs and children mostly), and more rest in between burns. The rotation starts with belaying (because you want to send someone else up there to work out the beta so that you can make the flash!). Then, you’re psyched, so you quickly pull on your climbing boots and tear it up. But climbing is hard, especially “tearing it up” climbing, and you need time to count the reasons you should’ve sent, so you need time to relax, the third part of the rotation. Share and care for the real estate. This means the cliff base and the cliff itself. It’s just not a good idea to put your crap at the base of a route, even under an unclimbed line in the Karakorum. Rocks could fall and tear your teal micro-puff. Or your partner could step on your peanut butter and jelly sandwich while putting on their climbing shoes. Or it will just be in the way when someone else wants to climb the route. Instead, find a nice little cove away from the base of the routes to set up shop for the day. And put your junk on a surface that won’t get killed/destroyed. Likewise, remember that all the other folks at the cliff probably came there to rock climb, too. You came here to climb the five-star mega classic? Guess what route they came here to climb? It’s the not-entirely-unspoken rule that the rock is first-come, first-serve, but that doesn’t mean you have laid claim to a certain chunk of rock for infinite hours. If others are waiting, please be efficient (like not elaborating on a recent romantic intrigue or deciding you need to make a Paleo Panini just as you’re about to tie in). Likewise, folks who actually have a chance at sending the climb should get deference, especially when conditions, like sun or darkness, matter. But ultimately, it’s simple: Just like crayons in kindergarten, share. Know the difference between booty, someone else’s gear, and fixed gear (and treat each appropriately). Booty is gear that someone left on the rock because they had to bail. This ranges from a carabiner left on a bolt to a full rappel anchor. If possible, take this stuff off the wall, and if you’re really feeling nice, try to return it to the poor soul who bailed. I say it’s bad juju to booty nice gear off a route you don’t send. On the other hand, when there’s a line of fresh draws hanging on every bolt (possibly excluding the first one or two) on a climb, that’s not booty; it’s someone else’s gear. Of course, unless that someone – or another someone – has just tossed their rope down below that rope, you are welcome to climb it as long as you leave it the way you found it. There’s a tricky nuance here: At some point someone else’s gear does in fact become booty, but that takes much longer than you might think. We’re talking years and/or extreme wear to the point of the thing hanging from the wall is no longer booty, it’s straight up garbage that is a real danger to climbers. If this is the case, first try to figure out who’s it is and tell them to clean up their mess. If you can’t figure out the responsible party, clean it up yourself. If you’re going to leave your draws on a popular route, might I suggest something that is a tad more durable than the typical aluminum variety: Trango’s Blue Steel draw. Finally, there’s fixed gear: gear that’s been (semi)permanently fixed to the wall because it’s just so darned convenient to have it there. Again, there’s a range. It could be a stopper in a particularly critical and challenging spot to place, or it could be a string of metal quickdraws up a popular sport climb. All you need to do is use the gear, appreciate that someone invested money and time to make it so convenient, and pay attention to whether the gear is getting worn out. If it is, don’t be lazy/cheap and improve it, or at least tell someone who will. And by the way, if you’re going to install fixed gear, do it right. This basically means stuff that won’t be trashed by the sun, rain, wind, or just the next, say, 1.3 million climbers who will use it. A good guideline: steel. This list is in no way exhaustive. There are lots of ways to ruin your own or someone else’s day out climbing, so I’ll end with a final criterion for good crag style. 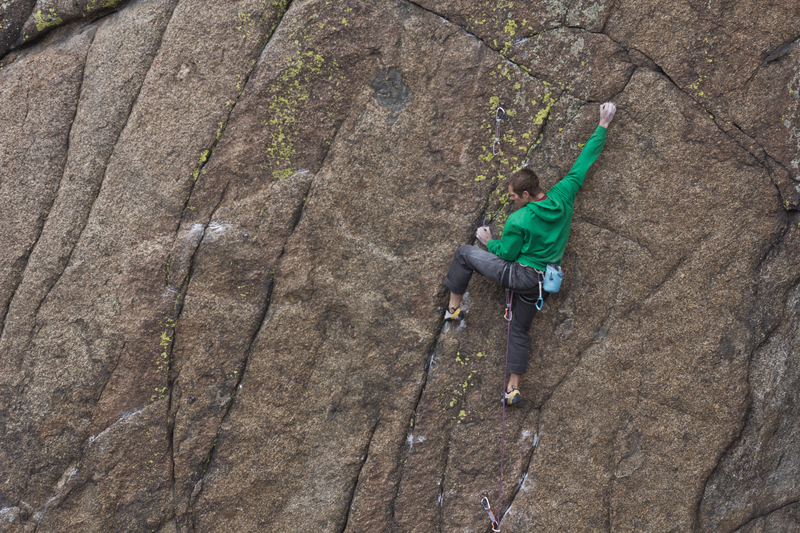 The next time you’re out climbing, take a moment to do a quick scan of your crag style. Now, imagine everyone else present is doing exactly all the same things as you. What would that scene look like? An endless junk show or pleasant send-fest? Modify accordingly. For the record, we’re going for the pleasant send-fest. Otherwise, we’d quit rock climbing and go on tour with Ke$ha. 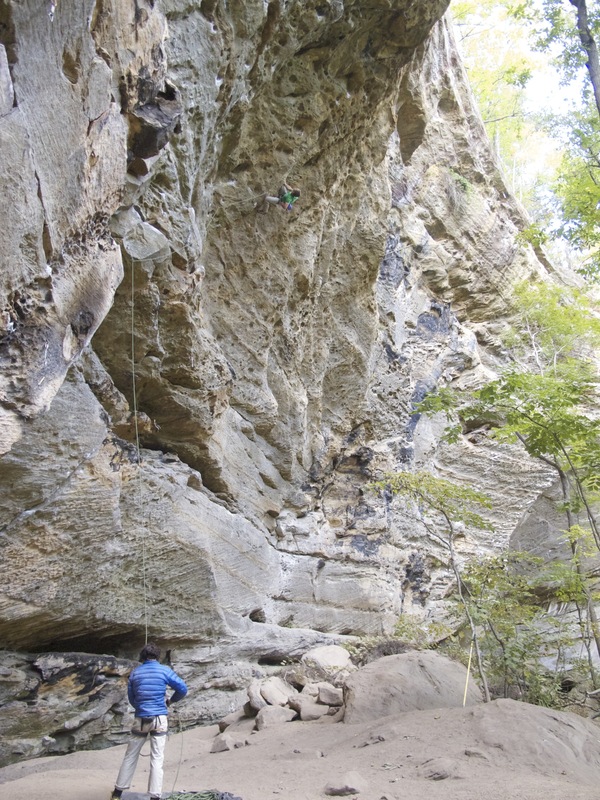 It’s a tough case to make that rock climbing isn’t merging into the mainstream. What with the Dawn Wall on every major news outlet and an estimated 4000 new waivers signed at gyms each day, climbing is on the verge of blowing up. This growth has a lot of side effects: even more gyms to get even more crowded, the correspondent if diffused crowding at most major climbing areas (at least ones with “gorge” in the name, or various other references to major drainage systems: creek, valley, canyon, etc), climbing companies becoming publicly traded and in general starting to act like big businesses, and climbing superstars acting more like superstars than climbers. Another result is that there’s actually a population of climbers worth marketing to, and one of the most powerful ways to capture the market’s attention is through self-improvement. Just look at the most recent cover of Climbing. Thus, just as we can learn 37 revolutionary ways to lose 10 lbs. as we stand in line at the grocery store, a given perusal of any climbing media reveals just as many ways to be a better rock climber. Eventually, at least to me, it starts becoming noise, and the result is often that one simply dabbles through lots of different strategies for improvement or just ignores them all together. But I think, at some level, we all want to get better. It just feels good to do something well, so doing it better will, logically, feel better. It many ways, it comes down to focus and commitment. Which makes the noise of self-improvement even more challenging. Enter Vilfredo Pareto, a late 19th Century economist, who noticed that 80% of the land in Italy was owned by only 20% of the population. As it turns out, this ratio, now known as Pareto’s Principle or the 80-20 Rule, plays out in all kinds of ways: in economics, math, ecology, cellular metabolism, criminology, and other arenas. It can be (over) simplified by saying that, generally speaking, 80% of the results of any given endeavor are created by 20% of the effort. The trick is to know what 20% is doing the work. Tim Ferris applies this concept in his books The Four Hour Work Week and The Four Hour Body. While I’m not advocating for reading these books (I haven’t done more than flip through them), the idea is intriguing. How do we get the most out of our efforts in life? As a climber, I’m constantly trying to maximize the effort I put into climbing. Over my career, and especially recently, I’ve pondered what those things are; what is the 20% of efforts in climbing that yield the greatest results? Below I’ve listed my (completely anecdotal, unscientific, 100% subjective) big-bang-for-your-buck efforts. For me, these are that 20%, the low-hanging fruit. Before I get into them, however, I want to say one thing: This is the least to improve performance. This is not how to maximize performance, to become the best climber possible. For true maximization, the devil is in the next 80% of effort, using all of it as effectively as possible. The complement of the 80-20 Rule is the Law of Diminishing Returns, yet we can only know the asymptote of our climbing potential by obsessively trying to bump into it. This is fairly obvious but worth mentioning first, but don’t die. Double check the basics and generally be somewhat conservative. If you die, you will not improve. Likewise, don’t get injured. What this really means is that you should put effort into injury prevention. Get strong shoulders, work on your antagonist muscles, avoid climbing more than two, maybe three days in a row but also climb consistently (as in, don’t climb as hard as you can one day a month and then eat Cheetos and play video games the rest of the time), and when you do tweak or blow something up, actually put serious, disciplined effort into healing. Hangboard. Physiologically, your fingers are almost always the weakest link and are almost certainly your limiting variable. Get them stronger, and the rest of climbing becomes easier. It is actually that simple. There are plenty of ideas for how to hangboard out there. It’s not rocket science, but it does take know-how and skill. I use the Rock Climber’s Training Manual protocol because it’s simple to do and reliably effective. The RCTM, as well as lots of other training sources, gets into much detail about long-term periodization training. This stuff is great, but it requires a lot more commitment of focus and time, and it varies significantly depending on what kind of climbing you want to do. But, as long as you want to climb things that involve grabbing holds, improved finger strength will be an asset. A commitment to each year doing two to three hangboard “seasons” (i.e. 6-10 workouts every three days with minimal actual climbing in that time) will produce results. It’s important to explore a diversity of climbing, but having projects that are challenging and require long-term effort is important to improve. There are many dimension of what make hard climbing hard, and so the process of exploration, learning, rehearsal, and performance is very effective to break into a new level. These don’t need to be mega projects, but routes or problems that take more than a few tries, more than a few days, to send are great learning experiences. Way over my head attempting Swing Line (13d). There are lots of ways to work on these things, but no matter how strong your fingers are, you can’t out-climb your brain. And finally, choose depth over breadth. I don’t mean to say that you shouldn’t be a well rounded climber. 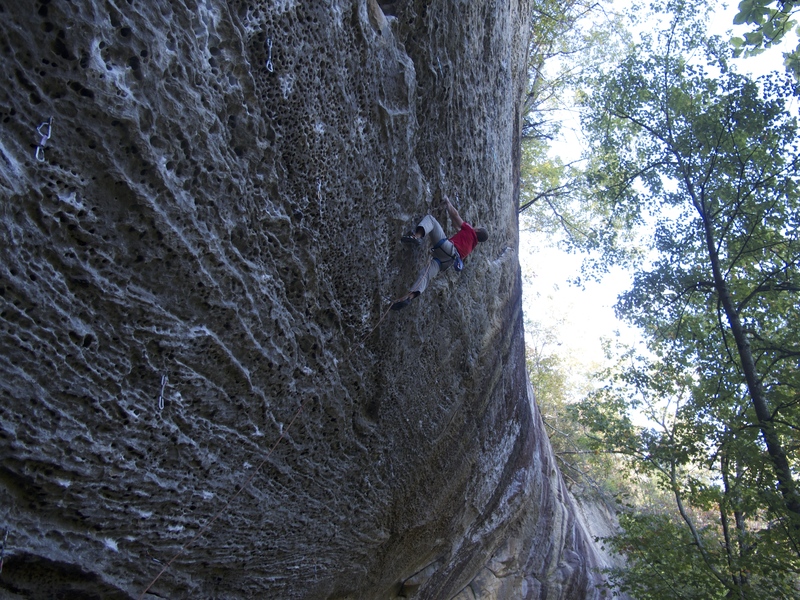 Often one discipline can support learning in another (like bouldering to trad climbing). But the idea here is to dedicate yourself to a goal. Don’t just take one afternoon in the gym to practice falling; make a campaign over weeks, months, even years to get comfortable falling. One hangboard workout won’t do anything but make your fingers sore, but seven workouts will make them feel like steel hooks. The idea is to commit to a direction, a process, and stick with it for long enough that the novelty wears off, you experience frustration, and then persevere into a new level of opportunity. So there you are, some 100% money-back guaranteed (since reading this is free) advice on improving climbing performance. I spent years just trying to rock climb as best I could, dedicated to the old adage that the best training for rock climbing is rock climbing. I can’t help but wonder at the potential I simply missed out on in all those years of just climbing. Sure, I was doing some things right, but what would my learning curve look like if I’d just been a bit more effective in where I put my effort ten years ago? The reality is that all of the strategies I’ve outlined above are pretty easy to do, and most are totally free. So, few costs but plenty of benefit: Now you’ve got no excuse. Which reminds me of my last kernel of advice: Stop making excuses. Yes, climbing is hard. Enumerating why it’s harder for you is wasted effort. If you want to climb it, figure out how to climb it. So the saying goes: jack of all trades, master of none. We’re so familiar with this concept that, when we hear the term “all-arounder,” it has almost a euphemistic feel. Do we really remember anything about Deion Sanders other than that fact that he played football and baseball? Even worse is “well-rounded,” which reverberates from high school superlative awards as little more than a consolation prize. With outdoor equipment, the label carries no fewer connotations, especially when it comes to climbing shoes. Tell me a pair of shoes does it all, and I’ll tell you it does nothing well. Fortunately, there is at least one exception: the Masai from Tenaya. From eeking up microscopic dents on a slab to toeing down hard on a sharp pocket, the Masai inspires confidence and, simply put, performs under a wide range of demands. The Masai comes from a strong line-up of shoes from Tenaya recently released in the United States and distributed by Trango. For more history of the company and information about the other shoes, check out Trango’s site, the English version of Tenaya’s site, and this review. I got the Masai in mid-summer. Sitting in Trango’s office, I went through a few different sizes trying to gauge how snug I wanted the fit. Ultimately, with an upcoming trip to the Bugaboos, I went with a more comfortable size. I’ll admit that I was kind of thinking “Sure, I’ll climb most stuff with these, but for the hard, thin pitches, these are not nearly tight enough to perform.” Since then, I’ve worn the Masai on a wide range of climbs: steep limestone, cracks of all sizes (tips to OW), blank stemming corners, slabs, and technical granite faces. The shoes never disappointed. By the time we were packing for the Bugaboos (after climbing in Rifle, Boulder Canyon, the Tetons, Index, and Squamish), I was confident that I only needed to bring one climbing shoe in with me. While the Masai performs well in a nearly all climbing styles, it excels in a few particulars. First, I love it for longer routes, especially ones that are more difficult. The Masai’s fairly neutral camber makes it comfortable enough to wear for relatively long periods of time (I could consistently wear mine for two pitches unless I was really pushing hard on my feet), but its precision worked well on the technical climbing that difficult granite climbing demands. In general, I have found the Masai to climb very well on just less than vertical to just past vertical rock than involves a combination of hard edging and smearing and/or jamming. From toe to heel, the shoe feels fairly soft, helping it conform to delicate smears, but across the toe, it is quite stiff, which allows for more power when edging and more stability in cracks. This lateral stiffness also gives good support when wearing the shoes for a long time. The uppers feel pretty soft, which makes the shoe even more comfortable. I had my concerns about the durability of this synthetic material, but aside from a bit of fuzziness, the shoes are still in great shape after probably 5000+ vertical feet of climbing, much of that on abrasive cracks in Squamish and the Bugs. For bouldering and extremely steep climbing, the Masai is a bit on the stiff side, but the toe box does have a slight bevel giving it the little “power pocket” that is usually only available in severely downturned (read: painful) shoes. This power pocket allows the shoe to still be able to grab incut holds on steeper rock. I really did try to be a skeptic with these shoes. I would climb a pitch in the Masai then try the pitch again later with one of my old standby shoes. Performance wise, if there was ever a difference, it was the Masai that felt more solid. What I really couldn’t get over was how much less my feet hurt at the end of the pitch. With my other shoes, I was pulling them off as I lowered down, but wearing the Masai, I came down, de-racked, sipped some water, and happily slipped them off. The short version: If you need a pair of shoes to do it all: edge, smear, jam, hook, whatever and still deliver plenty of power without making your toes scream, the Masai is the shoe for you.